Dr Josephine Wapakabulo, Chief Executive Officer for Uganda National Oil Company (UNOC) also added that, “UNOC is responsible for the State’s commercial interests in Uganda’s oil and gas sector and we see the country’s participation at Africa Oil Week as a clear opportunity to engage with the most prestigious global operators. UNOC will arrive at Africa Oil Week looking for strategic partners who have the appetite, financing, technology and capabilities to deliver equitable and profitable projects in Uganda’s oil and gas sector.” These projects have been identified and will be on display during the week. Conference Director Mr. Paul Sinclair said, “On top of the 13 confirmed ministers who will lead delegations to Africa Oil Week, we now have a partnership with the Government of Uganda to host a huge opportunity for the global private sector to exclusively engage and hold private meetings regarding oil and gas opportunities at Africa Oil Week.” This comes fast on the back of the governments of Ghana and Congo announcing their own bidding rounds at Africa Oil Week in November 2018. 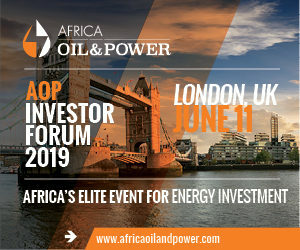 Africa Oil Week remains the only true industry event for the Africa’s upstream Oil and Gas sector.